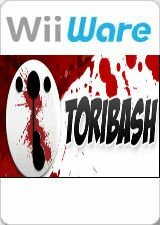 Toribash (Toribash: Violence Perfected in Europe) is an online fighting game where you make all the moves. Use precision motion controls to create any move you want - the only limit is your imagination. Manipulate your fighter's joints for maximum impact and take out your opponents with precise hits. Boost your joints for added speed and strength to hit harder, then grab your opponents and slam them to the ground. Fight online and challenge players around the world using Nintendo Wi-Fi Connection (broadband Internet access required). Want to make your own fight movies? Just jump into the replay editor. You can enter replays at any point in time and review your fight to catch that mind-blowing move you missed. When you're done, share with your buddies through WiiConnect24. Textures are horribly stretched. Enable XFB Virtual to resolve. Fixed with Hybrid XFB in 5.0-5874. The graph below charts the compatibility with Toribash since Dolphin's 2.0 release, listing revisions only where a compatibility change occurred. This page was last edited on 4 March 2018, at 07:23.